FMC Corporation "Stand And Be Heard" Anthem Singing Contest gives agriculture students an opportunity to win college scholarships up to $10,000. The corporation is introducing the contest, and the scholarship awards, to support students entering careers in agriculture and agribusiness. One grand prize of a $10,000 college scholarship will be awarded, and three scholarships of $5,000 each. Any student who is a member of FFA, 4H or NAMA who is pursuing an agriculture career can enter. In addition to the scholarships, all four winners will have their performances broadcast on national agriculture television. 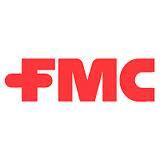 Food, Machinery and Chemical (FMC) Corporation is a chemical company serving the agricultural industry. The company's business includes the production of agriculture products and chemicals for the agriculture industry. Investing in the future of farming is an important part of their mission. The scholarships are being offered to encourage more students to consider a career in agriculture and to reward students dedicated to making agriculture their future. The deadline for this scholarship is usually in JULY of each year, and the award amount is usually $5,000 - $10,000.